Apparently Disney isn’t the only company that gets to enjoy its own themed ‘World’ and ‘Land’ theme parks. 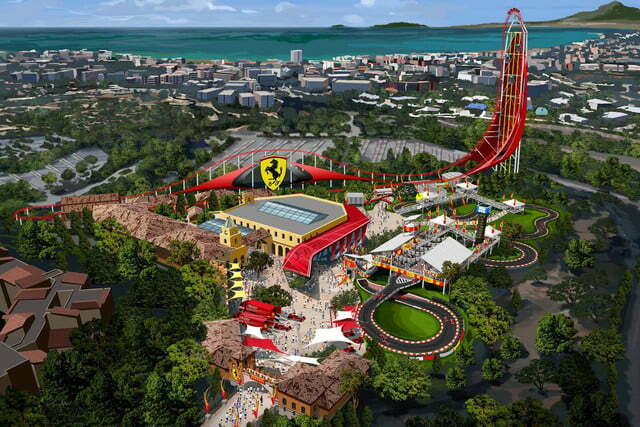 Ferrari announced today that it sold the rights to build a “Ferrari Land” in the resort town of PortAventura, Spain. Amazingly, a similar concept already exists. 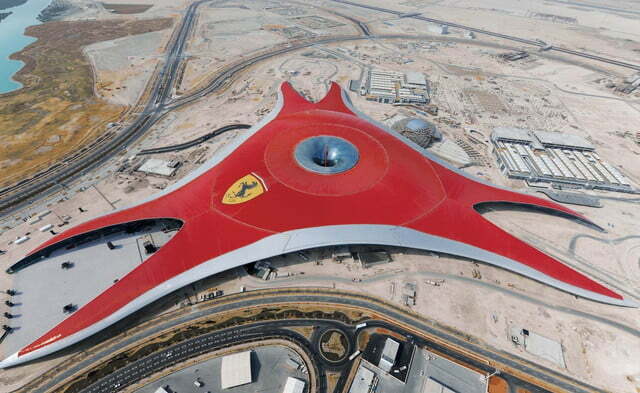 It’s called “Ferrari World” in Abu Dhabi. Areal pictures of the theme park, seen above, are rather frightening. It resembles gigantic red strange alien structure in the desert. I imagine it’s the kind of place a despotic dictator would build as an evil lair in, say, 2050. 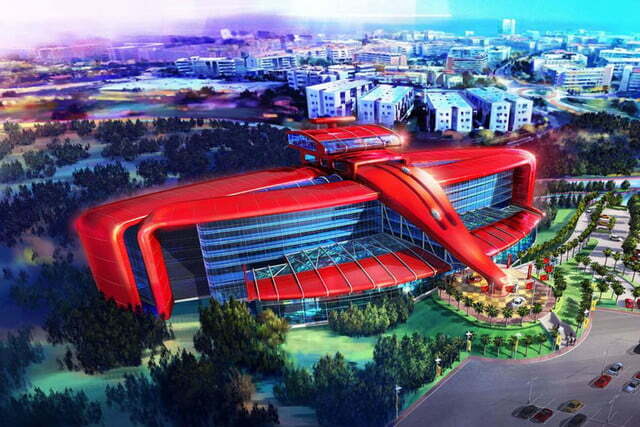 The Ferrari Land will cost around $140 million to build and include the “highest and fastest-accelerating vertical ride of its kind, as well as a five-star hotel with 250 rooms, restaurants and a driving simulator,” according to Autocar. If you’re curious to know what sort of things might be included in Ferrari Land, we needn’t look further than Ferrari World. Built in 2010, Ferrari World boasts a collection of the most coveted Ferraris, a mini racetrack, and the then-world’s fastest rollercoaster. 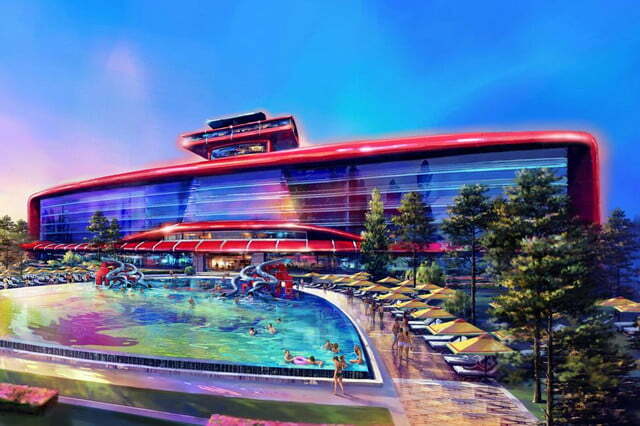 I don’t know about you, but building $140 million supercar-themed amusement park in a country still deep in the grips of a great recession – where unemployment sits at 26 percent – seems like a sound investment to me.